Home > KidsOut News > The BIGGEST National Rotary KidsOut Day! On the 14th June 2017 KidsOut once again teamed up with Rotary International in Great Britain and Ireland to host the National Rotary KidsOut Day! 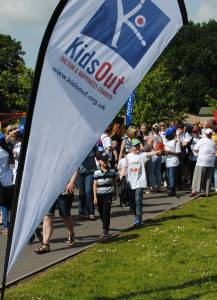 Over 600 Rotary clubs around the UK took part, meaning that over 28,000 disadvantaged children were able to attend KidsOut’s 17th Annual National Rotary KidsOut Day at 122 locations across the UK. Children of all ages visited the seaside, theme parks, zoos and other attractions with their carers, often for the first time. The National Rotary KidsOut day began with humble origins. The first Rotary KidsOut Day took place in 1990 when 200 children with disabilities visited Thorpe Park. The National Rotary KidsOut Day has since then remained the biggest single day out for disadvantaged children, and KidsOut are aiming to increase this service to two days a year with our Festive Fun Day in December. The 2017 National Rotary KidsOut Day overtook last year’s record as the largest in KidsOut’s history, eliciting the help of over 10,000 corporate volunteers and Rotarians. 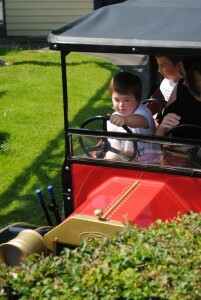 Group size and location varied dramatically, with Drayton Manor alone hosting over 4500 children with some 3000 carers. Generously once again shutting to the public for the entire day, Drayton Manor gave KidsOut guests exclusive access to the entire theme park and children were also treated to a free lunch, ice cream, t-shirt and baseball cap. KidsOut CEO Gordon Moulds attended the day at Drayton Manor, helping to greet and register groups in the morning. “It was a wonderful day” he commented. “There were so many happy smiling faces all from KidsOut”. Drayton Manor has taken part in the National Rotary KidsOut Day for over 25 years, and huge thanks must go to our Patron and Drayton Manor’s CEO Colin Bryan. Colin and his family’s continued support of KidsOut is unparalleled. 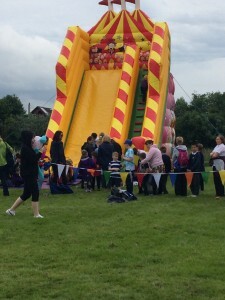 Wicksteed Park was again the day’s second largest event, welcoming over 2,500 children in addition to their carers. Rotary also hosted 1,246 children at Marwell Wildlife Park and Adventure Wonderland; 1,200 at the Big Top Circus, Broadstairs; and 750 for family fun at the Military Garrison Rugby Ground, Aldershot, with support from KidsOut staff. The National Rotary KidsOut Day gives disadvantaged and disabled children an opportunity to enjoy what many other children may take for granted and have fun. The day is vital to the lives and hopes of thousands of children across the UK and is only possible thanks to the thousands of Rotarians, volunteers and supporters who make is all possible. KidsOut would like to extend their thanks to all of the Rotary clubs and individuals that participated, with special thanks to Steve Cartwright, the National Rotary KidsOut Day coordinator.